" Today I’ve got a rather large review for you with a lot to cover. Today for review I’ve got the HIS Radeon 7850 video card and I’ve put it through it’s paces thoroughly including gaming, Eyefinity and overclocking. 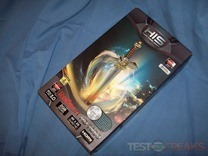 HIS has also just came out with a new software program called iTurbo that can help you adjust many of your video card settings including the fan and overclocking. When all was said and done I have to say that I’m very much impressed with what this card can do and I think you will be as well. So read on… "
"Headphones are great for gaming and watching movies when you need to be quiet. I’ve got small children and I like to watch movies and play games at night time, late at night, and my kids need to sleep. What I have for review today very much helps me accomplish that and more of course. 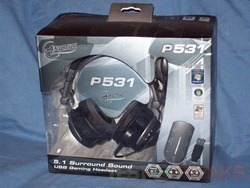 I’ve got the ARCTIC P531 5.1 Headset for gamers for review today, these feature a USB connection and not actual audio connections which I think makes life easier and. 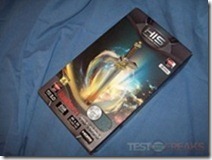 Having the USB connection allows you to just plug it into a front port, but if you don’t have a motherboard equipped with surround sound it doesn’t mater as the P531 headset has a built-in digital sound processor. This headset is for gamers so as you might expect it has a microphone and a lot of padding for comfort so they can be worn for long periods of time. " So I’m a busy little bee… and it’s great. I’m writing on another site now, Bona Fide Reviews. Let’s just say the site has changed hands, and is moving in a new direction now. The other day I posted my review of Darkest of Days for Xbox360 over on TestFreaks.. The idea of time travel is a good one, but the game leaves you hanging at the end, like it’s unfinished, and running on the Xbox frame rates are choppy, and the AI is just downright stupid… hit the link above for the full review.. I also did a comparison of Windows XP and Windows 7 Running on my Acer Aspire One D250 Netbook as well, and I’ve got a second part coming tomorrow comparing 1gig to 2gigs using Windows 7 on the Acer..
Been a while since I’ve updated anything here huh? Oh well, I’m just way too busy, my capture card died for capturing videos from game consoles, ordered another one but it was DOA, so I had to get it replaced, and of course more games kept coming in for review, I’m like way backed up on console games now..but I spent all day this past Saturday and Sunday just playing games and capturing videos from them for the Wii and Xbox360. We’re expanding a bit over at TestFreaks, I put an ad up on CraigsList looking for writers and surprisingly I got quite a few responses to it, one of the caveats in the ad was that I was also looking for female writers to get a female perspective, and I got quite a few who responded, so things are progressing along nicely with that. Busy and loving it, and I got a new ipod! 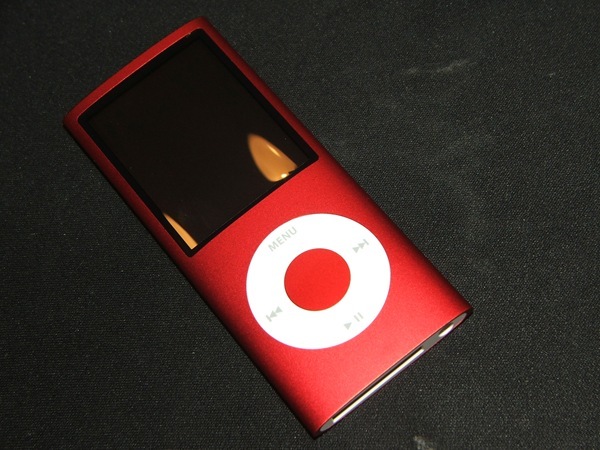 So believe it or not I’ve never owned an ipod, I’ve got a few mp3 players that work fine for me, and even those have been sort of retired in favor of using my ATT Tilt as my media player, but I got the 4th Gen Ipod Nano, the Product Red color, and I really like it, especially the accelerometer feature, though they need to get more games for it to utilize it better for that… overall though I think it’s kinda cool, not sure how much use I’ll get out of it, but it’ll come in handy for reviewing ipod accessories, and we all know there’s tons of those out there..